Fermium was discovered in 1952 by a team of Berkeley researchers led by Albert Ghiorso while analyzing coral contaminated by the top-secret Ivy Mike nuclear test, of but their discovery was kept secret until 1955 because of Cold War tensions. Fermium was named for the recently deceased Enrico Fermi and his invaluable contributions to the field of nuclear physics. Little is known about the properties of fermium because only tiny amounts have ever been produced; after their initial experiement, Ghiorso's team was again successful in producing both fermium and einsteinium via the bombardment of plutonium-239. It is a highly radioactive transuranic actinide with a very short half-life. There are no uses for it outside of scientific research. Fermium is a Block F, Group 3, Period 7 element. The number of electrons in each of fermium's shells is 2, 8, 18, 32, 30, 8, 2 and its electron configuration is [Rn] 5f12 7s2. 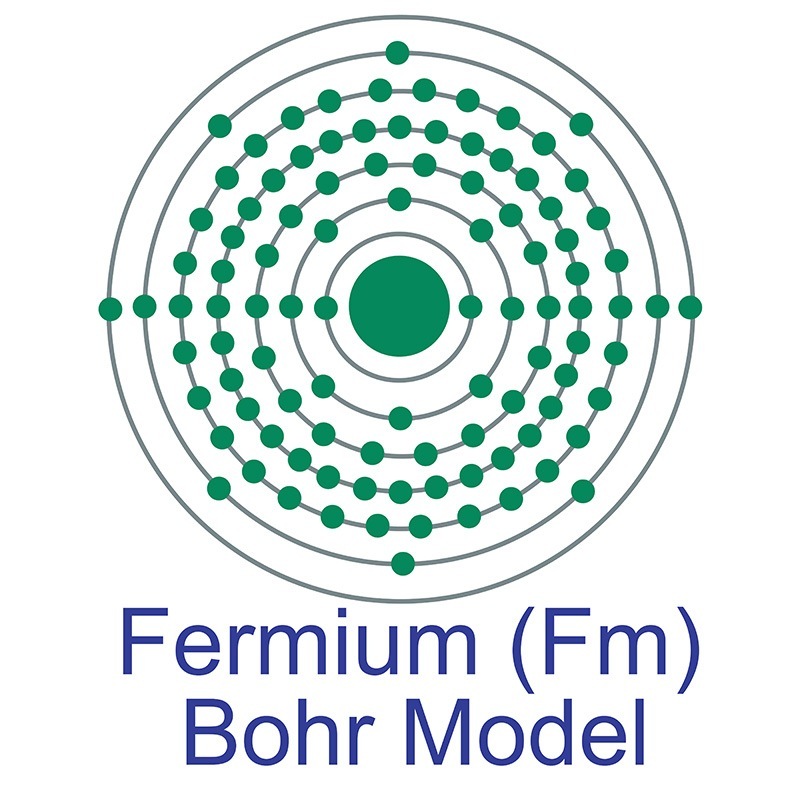 The fermium atom has a Van der Waals radius of 245 pm. In its elemental form, fermium's CAS number is 7440-72-4. Fermium is a synthetic element that is produced by the bombardment of lighter actinides with neutrons in a nuclear reactor. Fermium was discovered at the Lawrence Berkeley National Laboratory in 1952. It was named after Enrico Fermi, Professor of Theoretical Physics at the University of Rome. Fermi was a Nobel Prize winner whose work lead to the discovery of slow neutrons which then resulted in the discovery of nuclear fission and the production of elements lying beyond those included on the periodic table of 1938. Fermium was the eighth transuranic element of the actinide series to be discovered. Fermium information, including technical data, safety data and its properties, research, applications and other useful facts are discussed below. Scientific facts such as the atomic structure, ionization energy, abundance on Earth, conductivity and thermal properties are included. Fermium is an artificial element. It has no stable isotopes.